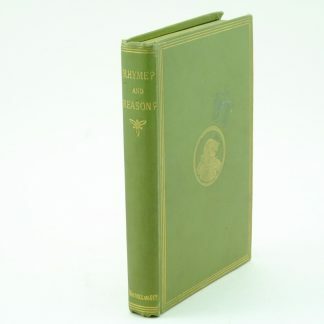 First U.S Edition with dust jacket. 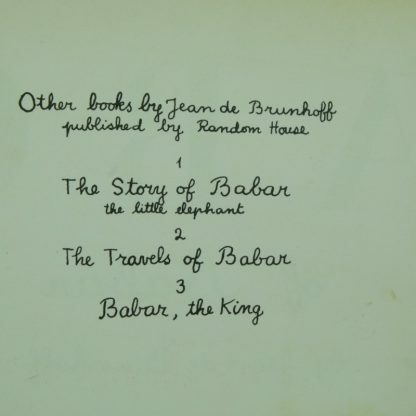 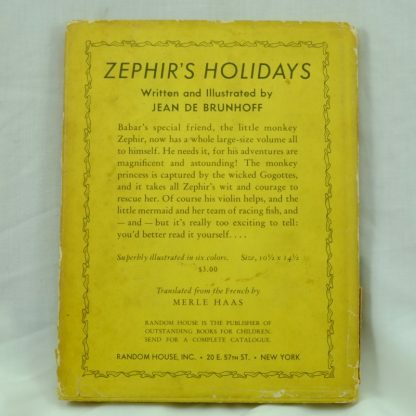 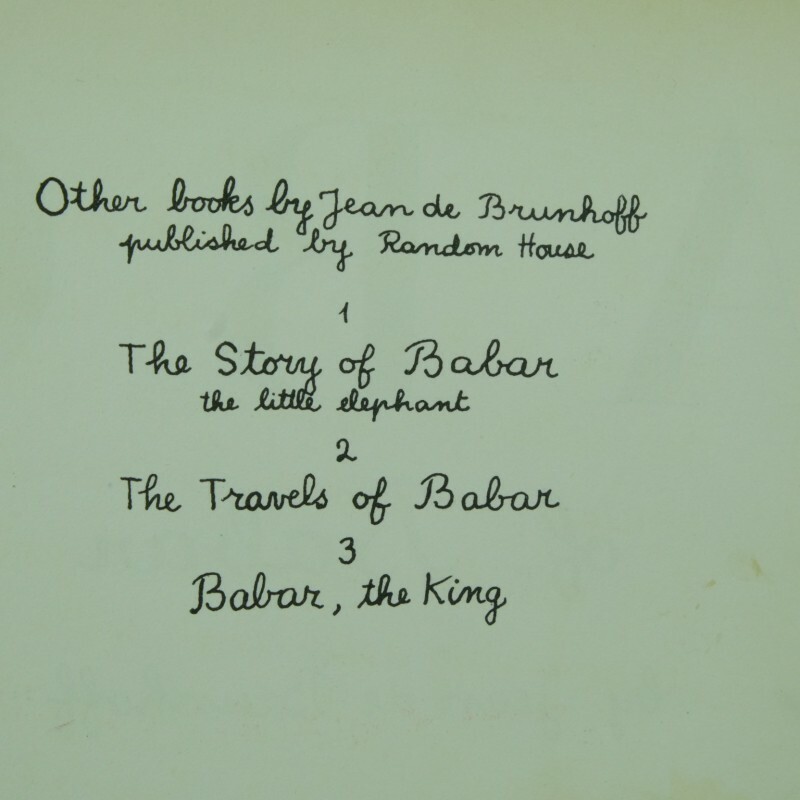 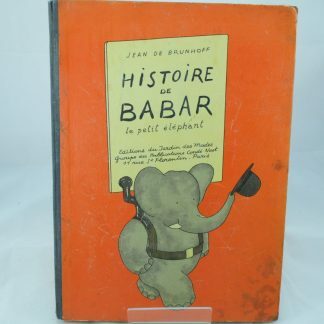 One of Jean De Brunhoff’s illustrated books that he wrote before his untimely death at a young age. 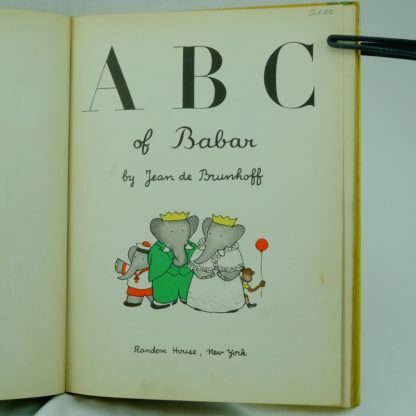 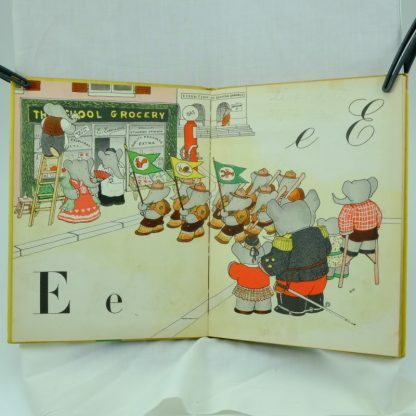 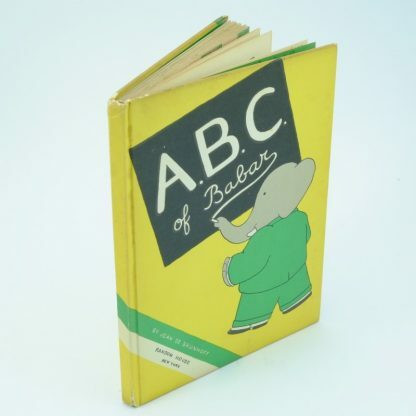 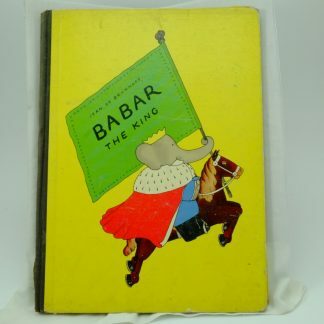 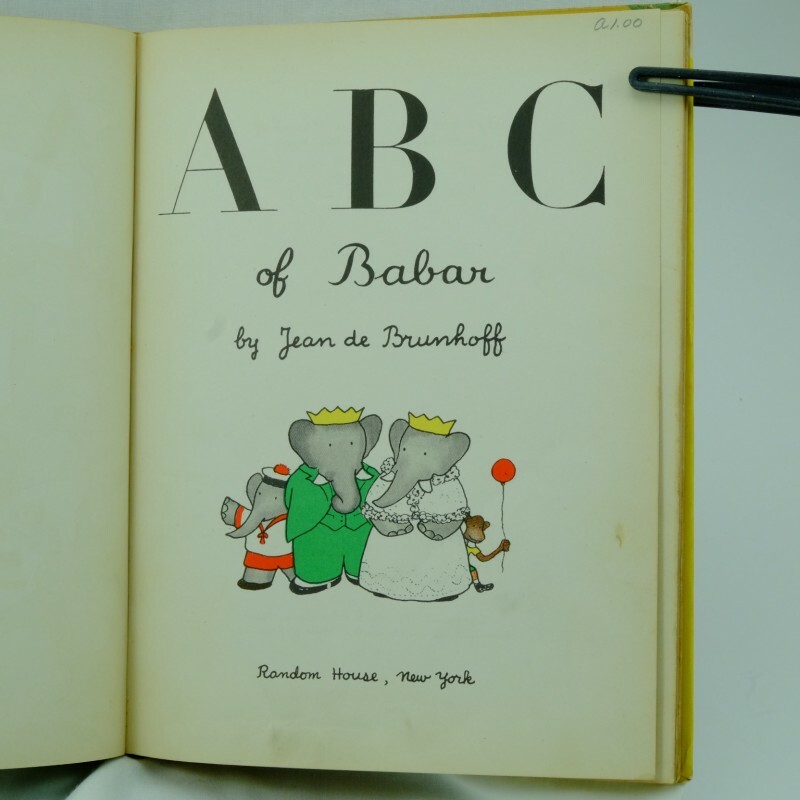 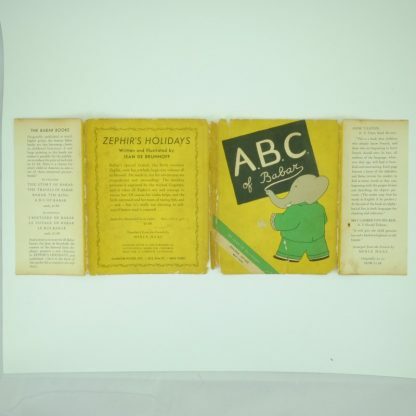 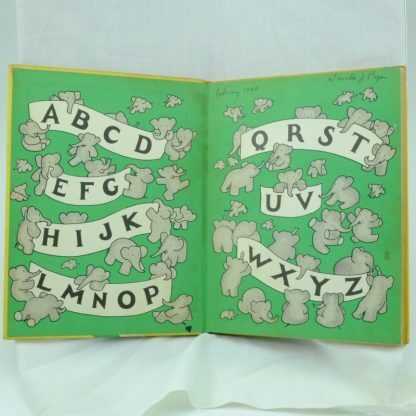 This is a very good first edition A B C of Babar with a good condition dust jacket. 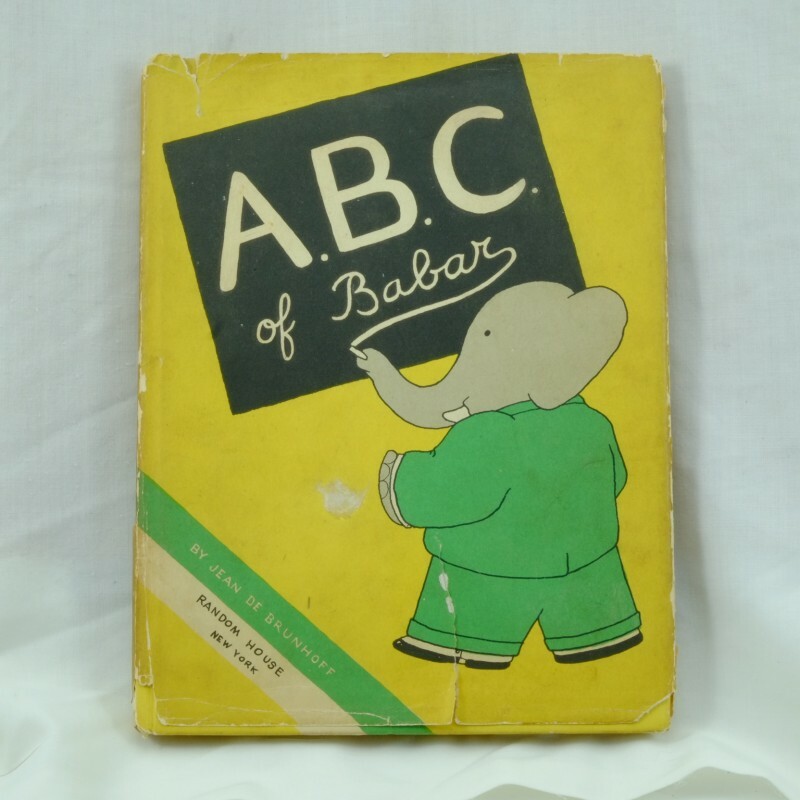 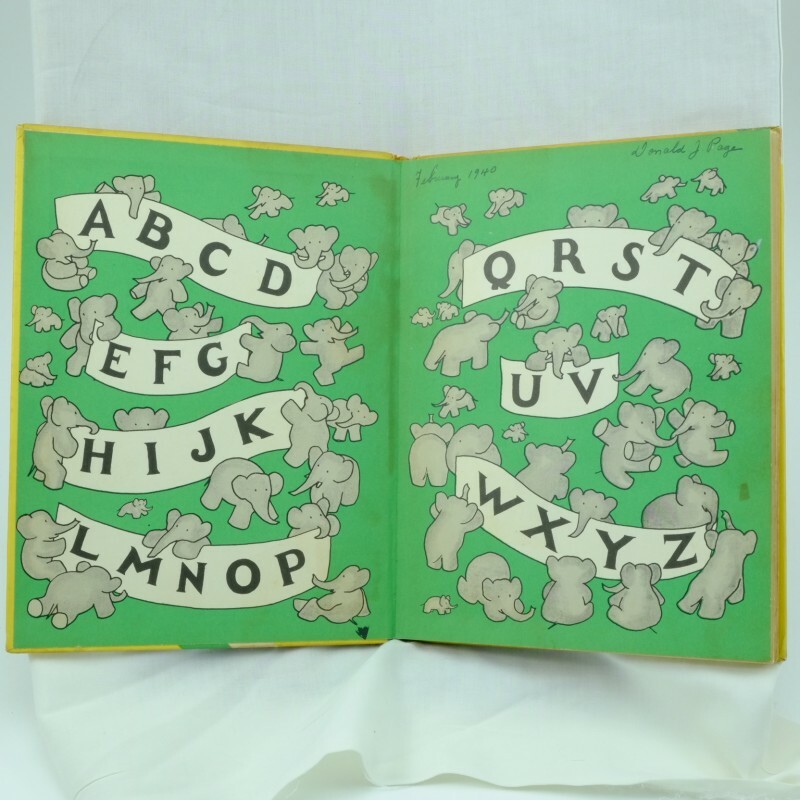 Book: Vibrant yellow front hardboards with clean illustrations of elephant Babar. 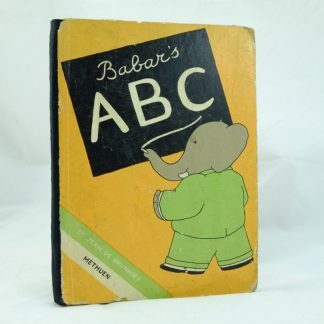 Some wear to the corners, edges and spine ends. 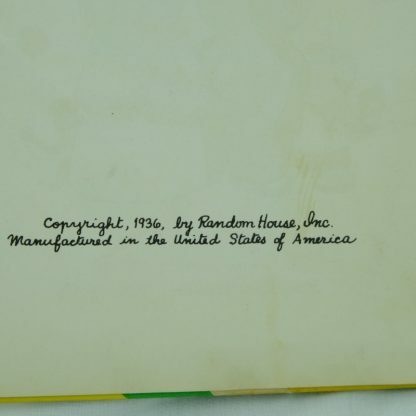 Green illustrated front end paste down and pages with dated owner’s signature on the front free page. 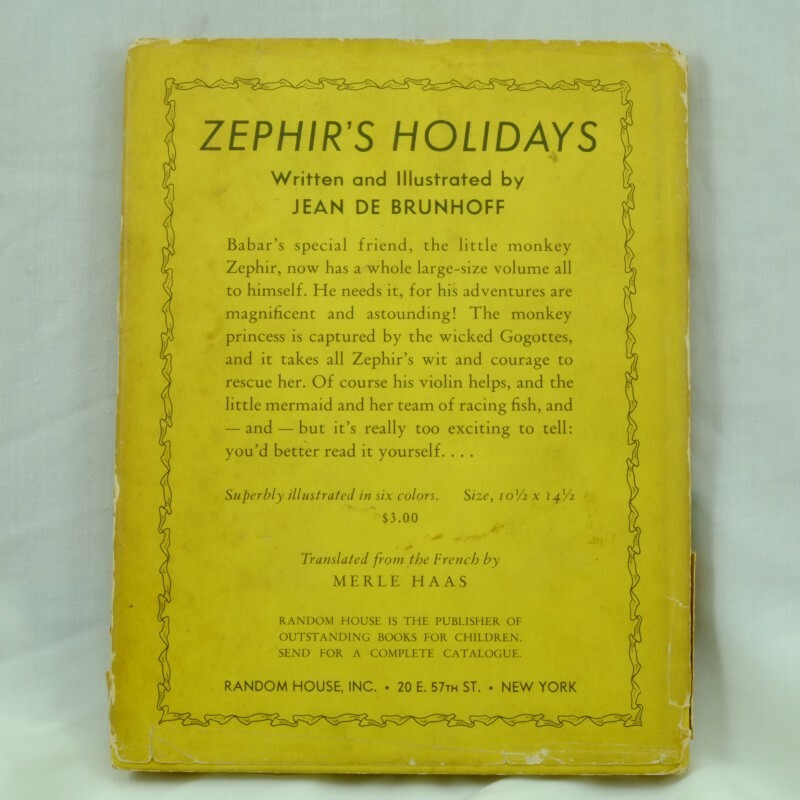 Bright illustrations and age toned pages. 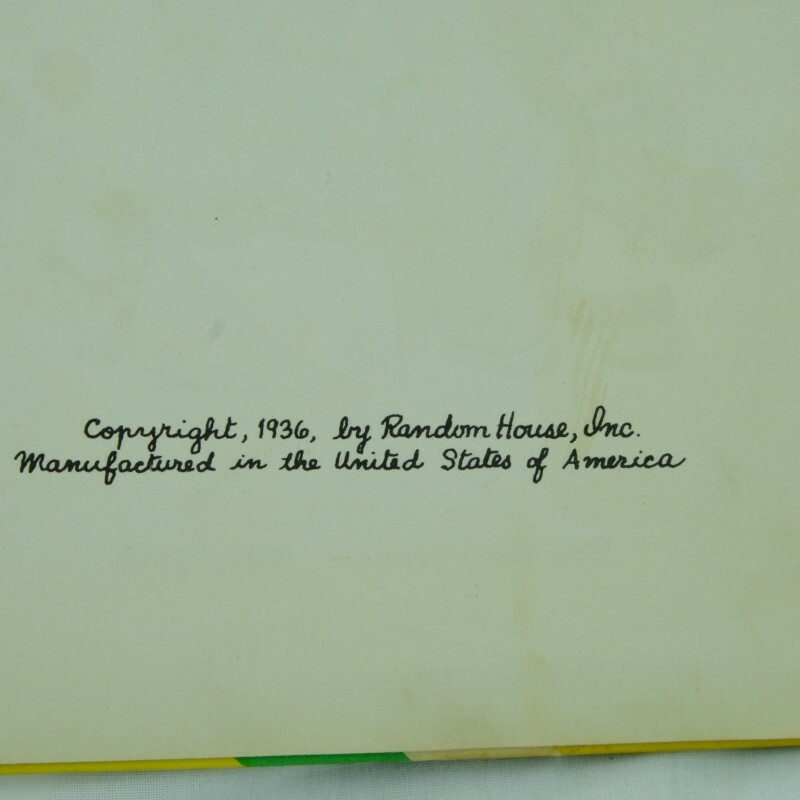 Previous owner’s pencil words erased from many of the pages which does not marr them. Tight bindings. 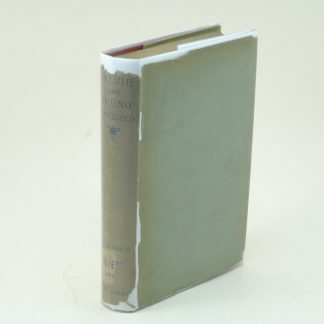 Small Quarto (8 7/16″ x 6 5/8″). 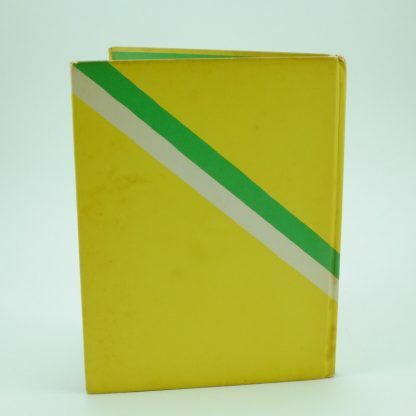 Dustjacket: Bright colours slightly grubby with 2″ tear on the front plus chips/minor tears on the corners and edges. 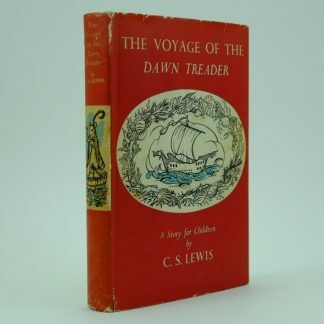 Darkened spine. 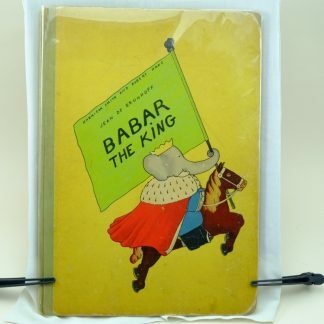 Protected by a clear film.